"Everyone knows that we’re in the era of the designer.” So said a long-time furniture industry veteran at the April High Point Market, and many manufacturers and dealers agree. Fueled by the demands of a consumer market seeking a personalized aesthetic at just about every price point, the rising status of interior designers in the home furnishings industry is dictating a new approach for many companies, and participants on both sides of the trade equation are revising their business strategies in response. Celebration Ticket Sales End Today! Don’t miss the interior design party of the year! Purchase your ticket or table today! On August 6-7, ASID and IDC will host the inaugural Impact Summit on Health Wellness in the Built Environment at the Lake Nona Medical City in Orlando. Share your voice and make an impact on the future of health and wellness through technology and smart design. Learn more and register. A world class panel of speakers will convene at the Impact Summit, including Bryan Steverson, a sustainability and green buildings program advisor in GSA's Office of Federal High-Performance Green Buildings. Steverson has over 13 years of experience with federal sustainability and green building initiatives and is the project manager for the study GSA and the Lighting Research Center at Rensselaer Polytechnic Institute are conducting to better understand the links between daylight exposure and human health benefits in federal office workers. Meet Bryan Steverson and all of our speakers at the Impact Summit – register today. 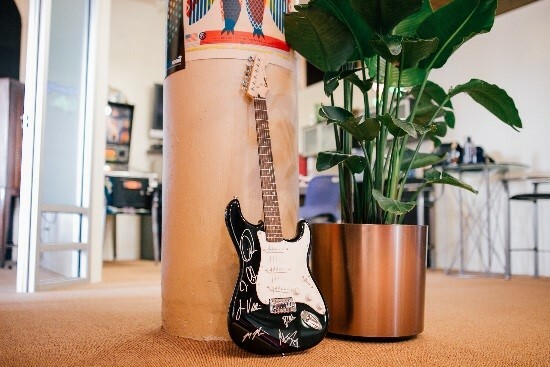 The ASID Foundation’s annual silent auction supports the Foundation’s important work throughout the year. 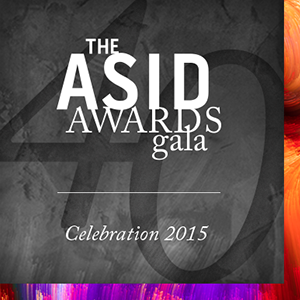 Hosted in conjunction with Celebration: The ASID Awards Gala in Boston on July 18, the 2015 auction will be 100 percent mobile and accessible to event attendees and anyone with an Internet connection. The online auction will open July 13 and will close at the end of Celebration on July 18. Check out the auction items today! Cosentino will celebrate the Society’s 40th Anniversary at parties throughout July and August. All proceeds will benefit the important work of the ASID Foundation, and all ASID chapters are highly encouraged to participate and attend. Cosentino requests a $20 donation per person for a great evening of networking opportunities, wine and hors d’oeuvres, a silent auction featuring items donated by Cosentino and local Chapter members, and much more. ASID is teaming up with HGTV on their Fresh Faces of Design awards to recognize designers and their inspired work. The contest's unique categories include Great First Impressions, Organically Inspired, and Big City Digs. There’s even a category specifically devoted to students called Designers of Tomorrow: Innovative Spaces by Student Designers Headed Straight for the Top of the Class. Find the category that best suits your design style and submit your entry for consideration by July 15th to freshfaces@hgtv.com. Learn more about the contest and enter today! The ASID REGREEN Implementation Workshop is on the road and stopping in Columbus, Ohio this summer. Join us on August 25 and learn to provide environmentally-respectful interiors through design and gain key information for residential renovations and small commercial projects. REGREEN is the nation’s first and most comprehensive green residential remodeling program, and is part of the REGREEN Trained™ certificate program. The workshop offers 0.8 HSW CEU (IDCEC), which can also be used for LEED CMP. Learn more and register. When it comes to the built environment, the architecture of the structure is never the full picture. As a result, this year's World Architecture Festival in Singapore in November will coincide with the World Festival of Interiors, an international gathering of interior design pros. A shortlist of 50 new projects from 16 countries was recently unveiled. Here's your look at some of the most striking entries, spanning the categories of hotels, offices, residential, and more. U.S. home ownership rate is at its lowest level in 25 years and is widely expected to go even lower. That's not just the result of younger Americans struggling to make ends meet to save for a down payment on a home. It is increasingly the result of middle-aged, higher income Americans choosing to rent, according to a new study by the Joint Center for Housing Studies at Harvard University. Apartment construction is booming, but much of it is in urban centers, catering to wealthier renters. "It's an older renter, looking to downsize that doesn't want to own anymore," said Douglas Firstenberg, principal of real estate development and investment firm StonebridgeCarras. When we seek to understand what defines a culture—the worldview and behaviors that give it its unique characteristics—we must examine its principles and methods of design. The ways people live—the structures they build and inhabit, how they commune and worship, as well as the art and artifacts they create—are given form and meaning by the patterns expressed through various modes of design. Culture shapes design and, in turn, is shaped by design. The repetitive nature of conversations surrounding the future of the design and architecture professions can be frustrating. For professionals with roughly 10 to 15 years of experience, a regular topic of conversation is their struggle to find a firm they are willing to make a career investment in despite the opportunities available today. So how does a firm attract and, more importantly, how does it retain these individuals? Here are three seemingly simple ideas that are worth considering. Senior interior designers are in hot demand at the moment. A&D firms that scaled back their staffs following the recession are once again hiring as business picks up. A&D firms are not the only companies looking to hire senior designers. They are sought after in government, healthcare, retail, and industry. Take a look online, and you’ll see listings for some 700 or so current openings. The one constant in every business is the need for staying in touch with customers. Unless you do something to nurture and protect that relationship, to continually keep you and your business top of mind, to reinforce your relationship, and to remind them of your existence and the solutions you provide, chances are good that they will forget about you, your business and even the products and services you sell. One of the best ways to stay in touch is with a printed and mailed company newsletter. How do you leave a lasting impression on your clients? Do you follow up after a project to see how things are going? Designers share their views. Architect magazine recaps some of the top sustainable introductions from NeoCon 2015 in one of the most well-represented categories: coverings for the floors, walls, and furniture. LEDs were once touted for their energy savings—and little more. Now, after years of rapid advancement, the technology dominates the commercial lighting market. Here is a quick primer to help architects and designers speak the lighting language when specifying this solid-state source. The Environmental Protection Agency (EPA) recently honored 21 organizations for their design, manufacturing, promotion, and use of products that improve health and environmental safety. The awards recognize organizations that exemplify the standards implemented by the Safer Choice program, which aims to help consumers, businesses, and purchasers find products that perform well and are safer for human health and the environment. In a consumer survey from JBREC and DesignLens, respondents ranked interior style as their most important home feature, even beating out home size and location. Clean lines and natural-tone finishes coupled with sophisticated design features are characteristics that buyers want in their kitchens and baths. Homeowners value function and form over the size of a home, so small design details can go a long way when creating a practical yet stylish space. Here are some top takeaways for kitchens and baths. Driving the basement trend is the confluence of desire and dollar value. People want bigger homes, but the cost of teardowns plus new construction in light of size limits does not always equal a solid return on investment. Thus, the increased interest in basements. The key to a basements' value is its integration into the aboveground living space. Today’s basements are functional as well as playful, and often contain media centers, bars, wine rooms, billiard rooms, gyms, home theaters, guest suites, offices, and even golf simulators. Cork may have lost a few battles in the wine world with the rise of screw caps and plastic stoppers, but it’s beginning to win the war on the home front, as top designers use the tree bark to create pieces that are not only sustainable, but covetable. The student housing market is looking stronger and stronger. What naturally ensues from this growth is demand for better and nicer interior décor for the sector. Traditionally, student housing décor has always meant low-budget projects. But professionals are giving it another look thanks to the rapid growth of the industry. Let's take a look at the predominant décor trends that are ruling this young sector. Some of the best restaurant design is intended to go unnoticed. Sure, there will be eye-catching components — a cool mural, a quirky bathroom — but those aren’t as important as the layout, the lighting, the carefully cultivated mood. A well-designed restaurant won’t distract from the food, and especially not from the conversation. Instead, it will subtly contribute to one of those memorable evenings when everything clicks: the meal, the service, and the warm vibes. Architects and designers from six Washington firms that help make such evenings possible spoke with The Washington Post about what inspires them. As the workplace evolves, some organizations are trying to drive efficiency by pushing more workers into smaller open plan spaces, often compromising employee acoustic comfort. The problems of noise and speech distractions are real, surveys show. The best way to deal with the noise problem is by following proven principles that address speech intelligibility and concentration within spaces, and speech privacy and annoyance between spaces. It’s not just the economy that has gone global. America’s health care design community is taking its talents overseas to assist in hospital construction and renovation projects everywhere around the globe. Health Facilities Management magazine’s supplement Interiors shares what American designers have learned from their international work. Sensitivities honed through working in different cultures can help to shape and expand design perspectives while influencing the selection of flooring materials, furniture, amenities, and how these design elements relate to the patient experience. If your workplace is as comfortable and welcoming as your home, the thinking goes, you never have to leave. “A lot of start-ups can’t afford the best young talent. So how do they attract it? With cool spaces,” says interior designer Brad Sherman, who has earned a reputation as “the go-to office designer for tech start-ups looking to make a statement.” Working with start-ups presents unique challenges, Sherman says, because often the clients lack both funds and office renovation experience but have high expectations.